This information has been compiled to help anyone form a collegiate cycling team at his or her university or college. From recreational rider or beginning racer to the experienced cyclist or coach, this manual contains the basic information needed to help you organize and promote a cycling team at your school. It is meant to be a beginner’s guide and if you would like further help you should contact your conference director, which you will find listed below. Please feel free to contact the Interscholastic and Club Development Coordinator at USA Cycling, whose contact information is listed here. Additionally, more detailed information can be found at the USA Cycling Collegiate webpage. Pay special attention to the Team Leader Guide, which has lots of detailed information on recruiting, sponsorship, and everything you need to know about running a team. The best thing you can do, though, is make sure all your hard work doesn’t go to waste and the team doesn’t fade away when you graduate (We see this every year…). So write down everything you do, put it in a club manual, and hand it down to your successor, who you should pick early and groom for success! The application process to start a new club varies by school. Check with your club sports office to obtain the proper applications and criteria necessary to form a cycling club. It is also important to understand that every school has rules governing their club teams. Make certain that you read and understand these rules when developing the club, and make the rules available to other club members as well. It may also be helpful, if not necessary, to contact your campus activities office to register not only as a club sport but also as a campus organization/club. By doing this your club may be eligible for additional funding from other sources within the school, and you can attract additional recreational riders without the immediate pressure of racing competitively. The Conference Director (CD) is the best resource for all your needs. Log on to the USA Cycling collegiate website for a current list of phone numbers and addresses for all coordinators. Every year all collegiate cycling clubs must register with USA Cycling to be officially recognized, insured, and permitted to host events. The annual membership fee for a collegiate team is $75. New clubs, (defined as any club that has not been a member for at least three years or more), may register for free for the first year. Please fill out the USA Cycling Club Application Form and Collegiate Club Eligibility Form and send it in to USA Cycling (contact information can be found on the form itself). We can usually get club applications processed within one business day. This may sound a bit dull and/or superfluous, but the best and easiest thing you can do to ensure a successful season as a team is to read the collegiate rules. The collegiate rulebook is section six of the USA Cycling Rule Book. Additionally, some conferences have their own sets of rules and guidelines. These help with a number of important specifics within each conference. These rules can be found on each conference’s web site, a directory of which is available on the USAC collegiate web page. Choosing a Name – “State Univ. Cycling” vs. “SU Cycling”? Collegiate cycling clubs must use the name of their respective schools, as recorded in the IPEDS (Integrated Postsecondary Education Data System) database, available here. This is according to USAC rule 6B4, to avoid confusion between schools with similar names and/or initials. In addition to this schools that have more than one campus must develop a separate team for each campus location. Only collegiate clubs recognized by USAC gain access to collegiate conference races, results and points rankings as teams compete to qualify for national championships. General liability insurance for club events and other activities conducted under a USAC permit. This program provides excellent low-cost insurance against liability for accidents, which, though very rare, do occur. Collegiate clubs may schedule and permit events through USAC at the regular event permit fees. These can range from races to training rides or fund-raising rides for the team, on the road, track, cyclocross, or mountain bike. Directors and officers of clubs may purchase group liability insurance at reduced rates through USA Cycling’s insurance broker. Event permit packets and other materials are mailed to clubs upon receipt of their club application. Assistance in scheduling and planning events from Conference Directors, USA Cycling Regional Representatives and event coordinators. Access to membership benefits from participating USA Cycling Sponsors, particularly Promotive which allows special deals for collegiate club members. These are some guidelines and suggestions for creating a set of By-Laws for your team. You should contact your sports club office for further instruction specific to your school. Prepares yearly financial statements and prepares annual club budget. It is important to hold routine club meetings to keep the team updated and oriented with the training schedule, the race season in progress and other club matters. Schedule a permanent time, day and location to hold the meeting. During the off-season meetings can be held once a month, but during the racing season weekly or bi-weekly is best. Keep the meetings exciting and interesting. Possibly bring in guest speakers to discuss training, racing, nutrition, etc. Have social events throughout the season to encourage team interaction and give the cyclists an organization that they are comfortable in. Organize team rides, possibly one for beginners and one for more experienced riders. It is important to keep these rides as consistant and regular as possible. Good group rides lead to good camaraderie within the club, and gives members something to look forward to outside of class. Having a team coach could make the difference between winning and losing your competitions. A quality cycling coach will provide the team assistance with training plans, skills, tactics and many other aspects of the sport that will improve the overall abiblity of the group. 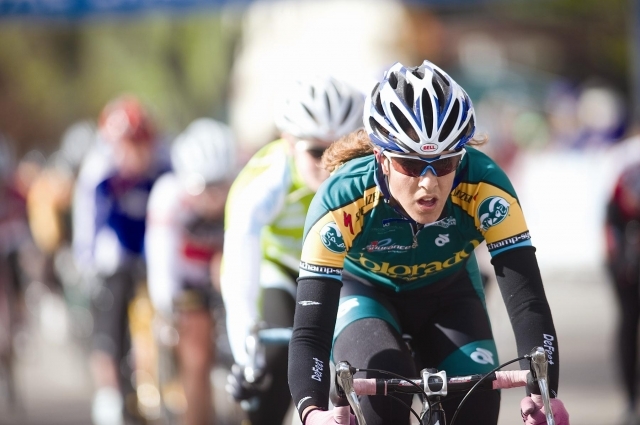 USA Cycling has an extensive listing of certified coaches which you can use to find a coach. Some coaches may be willing to volunteer their time with a collegiate team and others may charge a fee for their services. Individual teams should consider a coach when planning their annual budgets, and explore funding possibilities with membership dues, their school or univserity, alumni association or other outside means. Uniforms help to promote team unity and matching uniforms are required by rule to compete in any collegiate cycling event. There are many good clothing companies in the states that are already sponsoring collegiate teams and most should be willing to help design a jersey for your club. 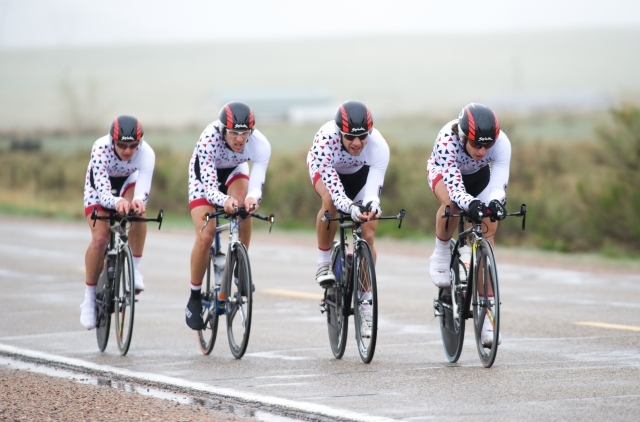 Voler Team Apparel has good prices and currently sponsors USA Cycling National Championships. A quick option for inexpensive matching uniforms is available through Voler’s direct sales website. The Conference Director should approve your jersey design in order to avoid looking like other teams: this can lead to confusion at races. An important set of rules to consider are 6E and 1F3 in the USAC rule book. Collecting dues from your members is the fastest way to fund your club, pay for uniforms and fund a coach. Dues are usually collected at the beginning of each semester and allow your club to purchase uniforms, coaching services and other items needed for general club operation. 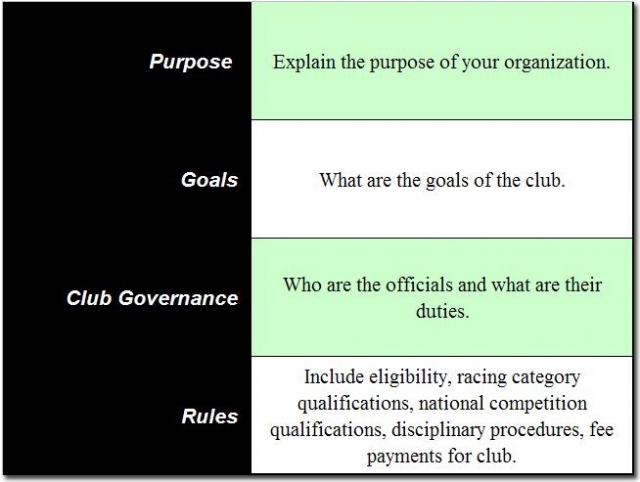 Developing a dues structure is something worth discussing with the entire club prior to establishment to create buy-in and agreement. Attaining sponsors helps to increase the value of club membership, which in turn helps with recruitment and retention. Companies within the bicycle industry generally accept sponsorship proposals between the summer and the end of the year. Contact information can usually be found on the sponsor’s website. Don’t overlook the possibilities that exist with school alumni, local businesses and other individuals in the community when it comes to raising funds for a race, team travel or scholarships. Many schools have had great success with alumni and local fundraising efforts. See our collegiate cycling fundraising and sponsorship packet for more information on this. You may find that attracting people to the cycling team is easy, while keeping them is quite difficult. If you are just starting a team and want to know how to get people interested in your team, here are a few tips that will help you. Recruit members from the triathlon club, the cross-country team, the ski club or team, and anywhere else you identify interest, talent or both. Use the club fair booths to advertise the cycling club. Put energetic people who are knowledgeable and can answer questions at the booth. It helps to have someone on a bike doing tricks or riding rollers or something that attracts the interest of a non- cyclist. Make flyers to recruit new members and post the flyers around campus or in local bike shops, running shops, and sports shops. On the flyers include what the team is, the time and location of meetings, and any other relevant information. Some clubs will tag bicycles around campus with information about these meetings to attract potential recreational riders. Create a website that is informative and easily accessible. It should be able to answer simple questions where a person interested in the team could easily get information. Pictures are always good. If you can find a good webmaster who is interested in cycling the website can become one of the main ingredients, along with an email list, to keep people in touch with the club. Hold beginner group rides and social rides for new people often to become acquainted with cycling and members of your club. Advertise in the local school paper prior to meetings. 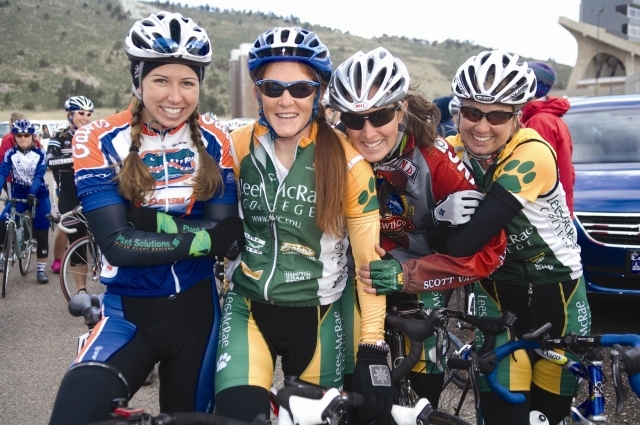 In collegiate cycling there are three main seasons, Mountain in conjunction with the fall semester, Cyclocross over the winter months, and Road in the spring. There are also two smaller, but equally as challenging seasons intermixed. 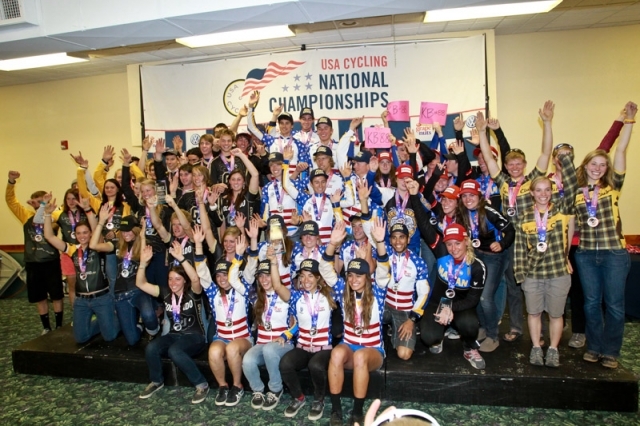 BMX Nationals in the early spring and track season in the summer and early fall are two disciplines that are gaining popularity among collegiate athletes. Your club membership and racing focus may be determined by what riding discipline is most popular in your area, and what training venues are most accessible to the school. In the beginning your club should focus on the mountain and road seasons, since this is where you can get the most experience in the least amount of time. If your school happens to be in a location close to a velodrome, you should consider developing the track-racing component of your school’s team. Visit the USA Cycling web page for more information on the location of U.S. velodromes. Your conference director will have a race calendar ready at the beginning of each semester, and can answer questions you may have regarding the development of the competitive component of your club. All your club must do at this point is train and show up to the races. Many club members will be looking for an enjoyable activity to keep them fit and meet new people. There are two key points to any successful season, no matter what the cycling discipline or level. First is consistency. By planing your group rides biweekly or more your club will see the benefits of consistency, and everyone will start to advance rapidly. The next most important factor is to expand your riding and training into the winter months. Whether it is going to the gym and staying active, riding the trainer, joining a spin class, or lifting weights, these activities will help you later in the season. For a more structured training program and advice on peaking for Regional or National Championships, you should contact a USA Cycling Coach. For a new club it is not a requirement to promote a race for your conference. The first year your club should be focused on increasing membership, becoming financially stable, and developing the race component of your club by participating in the conference events. The next step is to qualify a team to send to nationals, which takes a great deal of planning and resources, and then developing a race to add to the conference schedule of events. 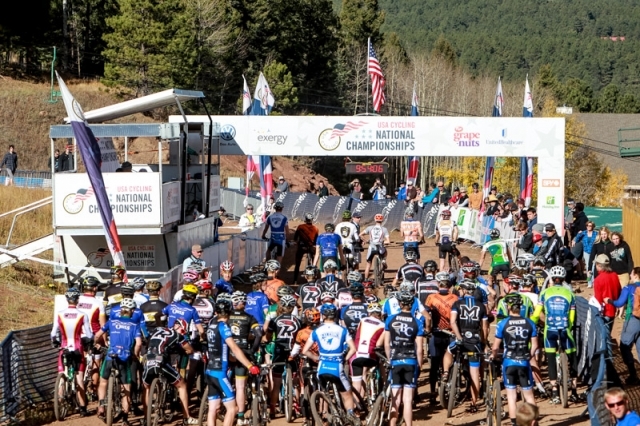 Conference championships are held at the end of the Mountain, Cyclocross and Road seasons as well as the Track season in many conferences. The best overall team and riders are decided at these competitions. Every year there are National Championships for each discipline. Once your club is comfortable with racing at the regional level, you will hopefully qualify a team to send to Collegiate Nationals. 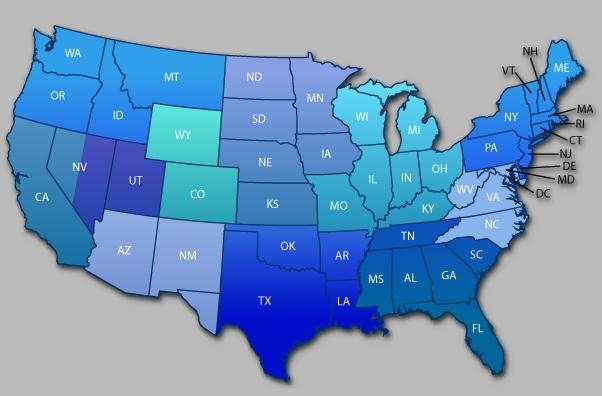 Since the field size is limited at Nationals, each year the number of teams from each conference is determined by the percentage of riders that conference has compared to the total number of collegiate riders. Then the best clubs from each conference qualify to send a team. Nationals are the height of the race season and not to be missed! Starting a club is a challenge and an exciting adventure. Your club will become part of a growing movement across the country that includes more than 300 collegiate teams and over 4500 of the most passionate athletes in the world. There are legendary clubs that have existed from the first years of collegiate racing, riders racing professionally who have worked their way through the collegiate ranks and many other graduates who are still racing as amateur competitors long after leaving their collegiate team. There is no doubt that competitive cycling is a sport that may be addictive in many positive ways, with the end result typically a lifetime of health and productivity. Your contribution to the sport in collegiate team development is invaluable and will provide a positive impact on the lives and health of many students through the coming years. We hope your team will grow in numbers and competitive ability and that a National Championship is always on your horizon. Welcome to Collegiate Cycling! Acknowledgement: Thanks to Steve McCauley of the USA Cycling Development Foundation, Natalie Mik of the University of California – Davis Cycling Team and Kevin Suhr of the University of Colorado, Boulder Cycling Team for their work revising and editing this document.